Moto X4 Android One variant was released a couple of months back. Moto has promised to bring Android Oreo to Moto X4 Android One before the 2017 end. As promised Moto has started to roll out the update and update brings the latest security patch as well. 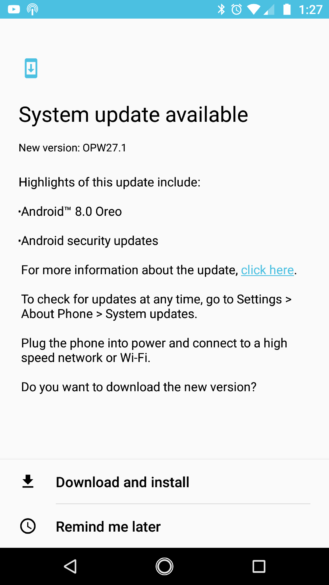 The update brings the build number OPW27.1.